Here’s the first chorus of the solo. Lovely bebop phrases. Reminds me of Red Garland. That’s my humble guitar player perspective! 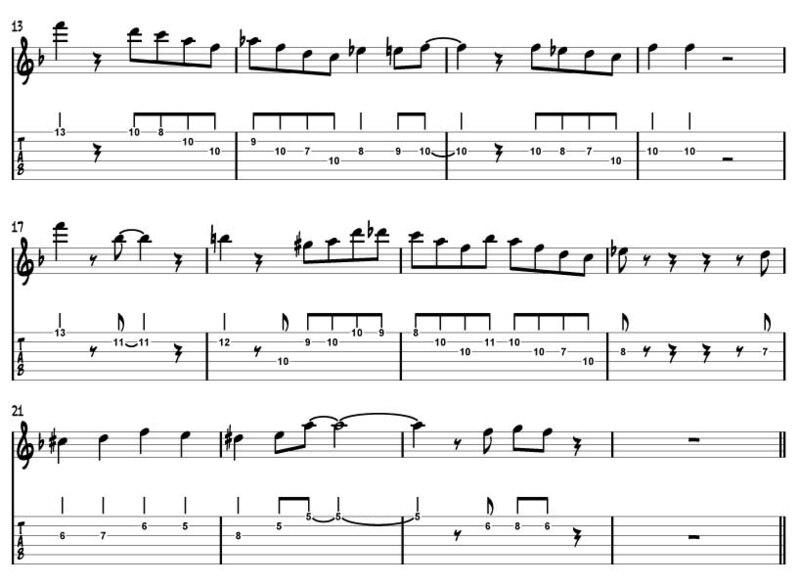 This entry was posted on Wednesday, June 25th, 2008 at 5:25 pm	and is filed under jazz guitar. You can follow any responses to this entry through the RSS 2.0 feed. You can leave a response, or trackback from your own site.